Wapakoneta was settled by the Shawnee along the Auglaize River in the 1780's. The Quakers also moved in and started a settlement and Wapakoneta was established. Today Wapakoneta is a thriving community and special place to live. Historic downtown Wapakoneta is full of many shops and is home to the Auglaize county courthouse with it's famous Statue of Justice. 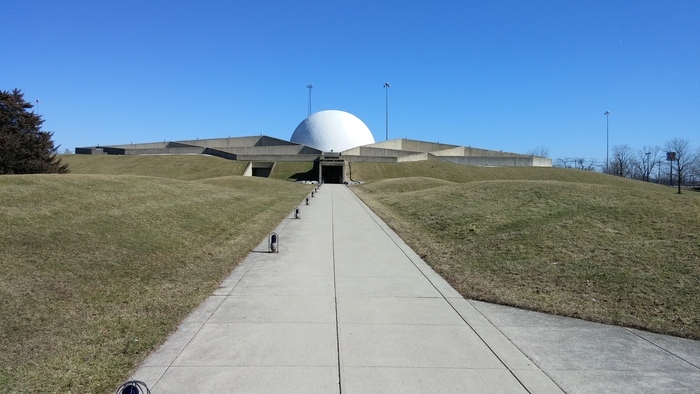 Wapakoneta is host to the Neil Armstrong Museum which brings in many visitors each year and also boasts a WAPA theater built in 1930 plus a waterpark, art center and free concerts in town. Wapakoneta with all it's perks is a wonderful place to live and also visit. Do you need heating and air conditioning repair or replacement in Wapakoneta, OH? Then you have come to the perfect place for it! Since 1945, homeowners throughout Wapakoneta and the 45895 zip code have come to trust Lochard Plumbing, Heating and Cooling with all their plumbing, heating and cooling services. Whether your home is equipped with an electric furnace, gas furnace, HVAC or central air, the experts from Lochard Plumbing, Heating and Cooling are able to provide expert service to get your furnace or central air system back in proper operation quickly. Call Lochard today at 1-800-477-8812. Lochard is your local Wapakoneta plumbing, heating and cooling contractor trusted by your neighbors for over 72 years. Don't let the long Ohio summer heat get you down in your Wapakoneta home! If you need a new air conditioning system or repair for your central air, Lochard is here to help. We can provide all of the residential air conditioner services you may need; from air conditioner repair and air conditioner replacement to air conditioner recharging and air conditioner maintenance! We also provide 365/24/7 emergency service and work on brands of home cooling equipment. For new home construction or major renovations, Lochard Plumbing, Heating and Cooling can work with your architect or builder to install the best heating and cooling equipment for your home, and offer even more options such as floor-installed radiant heating, geothermal systems or multi split systems. At Lochard Inc., we provide all your furnace service needs, from furnace installations and replacements to fast repairs for your home. To ensure your gas furnace is ready for the winter season, call on our knowledgeable and certified technicians which can assist you with all your furnace maintenance services. We also provide 365/24/7 emergency service and work on brands of home heating equipment. Few things are more frustrating than leaking pipes, clogged plumbing or broken water heaters. At Lochard, Plumbing, Heating and Cooling, we take care of all your various home plumbing and water problems so that your house continues to flow smoothly all year round. Our expert plumbers repair and replace water heaters, toilets, faucets, disposals, sump pumps, sinks, clear clogged drains and repair all types of pipe breaks and water leaks. We provide scheduled and emergency plumbing service and around the clock service and repair, 7 days a week to the Wapakoneta, Ohio area. Whether you are looking for a gas furnace repair or service, quality installation of a Bryant furnace, heat pump air conditioner, better air quality in your Wapakoneta home or just a check up, you can be guaranteed that as a Factory authorized Bryant Dealer we will do it right the first time.